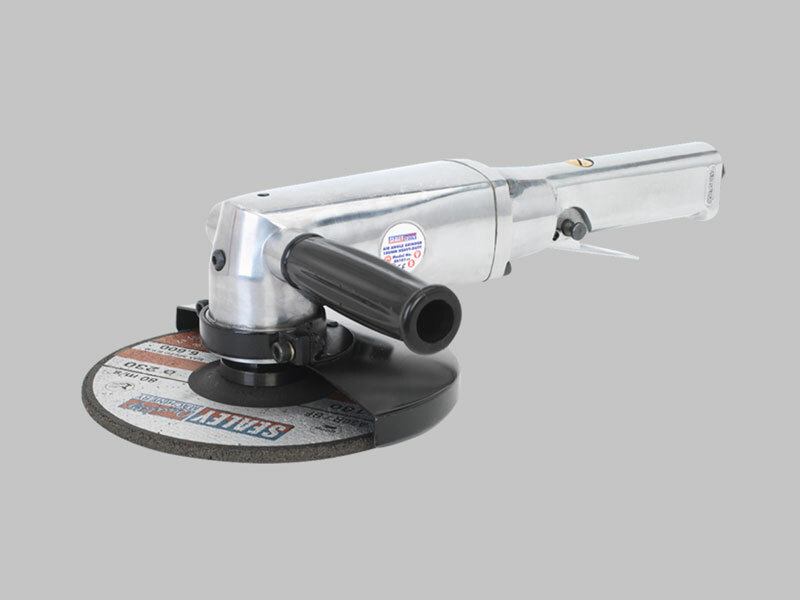 Well balanced professional tool with side handle, polished aluminium bevel gear housing and throttle body. Fitted with throttle safety device to prevent accidental operation and steel disc guard for added safety. Supplied with spanner and wrench. Suitable for heavy workshop use. Not suitable for use with cutting discs.